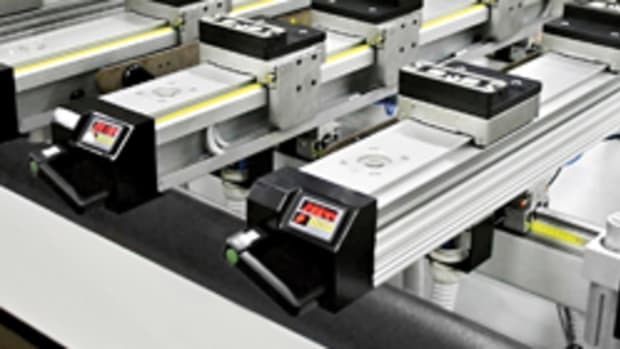 Accu-Router is helping shops get up to speed and become more competitive with the recent introduction of its seventh-generation Automated Conveyor System. 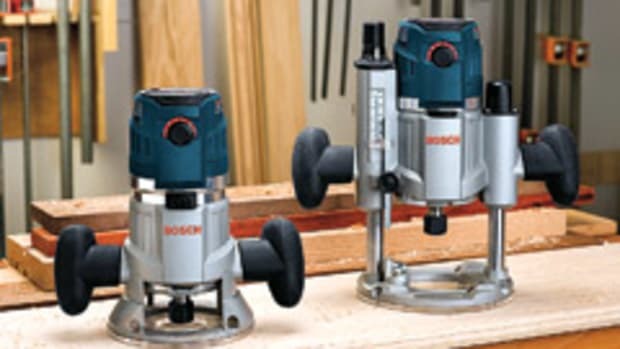 The company has been integrating ACS units into CNC routers since 1999 to assist end-users with panel processing applications. 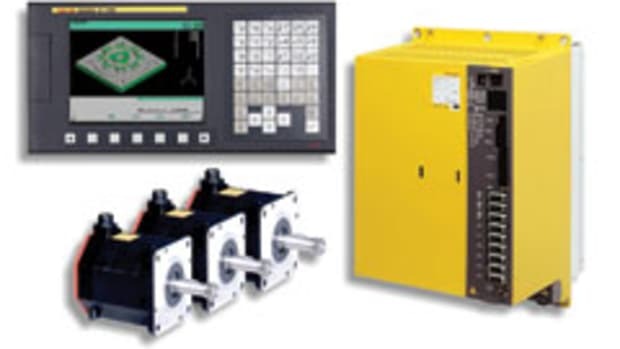 This new ACS unit was designed to be compatible with the company&apos;s high-velocity CNC router, but can be purchased separately and integrated with other fixed-gantry, ball screw-drive routers. 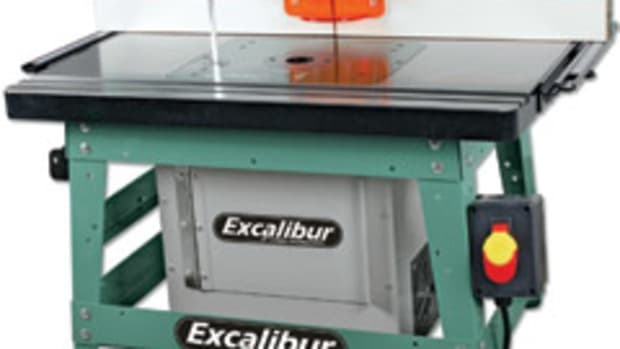 The new conveyor system can double the output of a manually processed CNC router, says Accu-Router&apos;s T.R. Herzog. "Other than the need for the operator to unload cut parts, every function of the ACS is fully automatic. 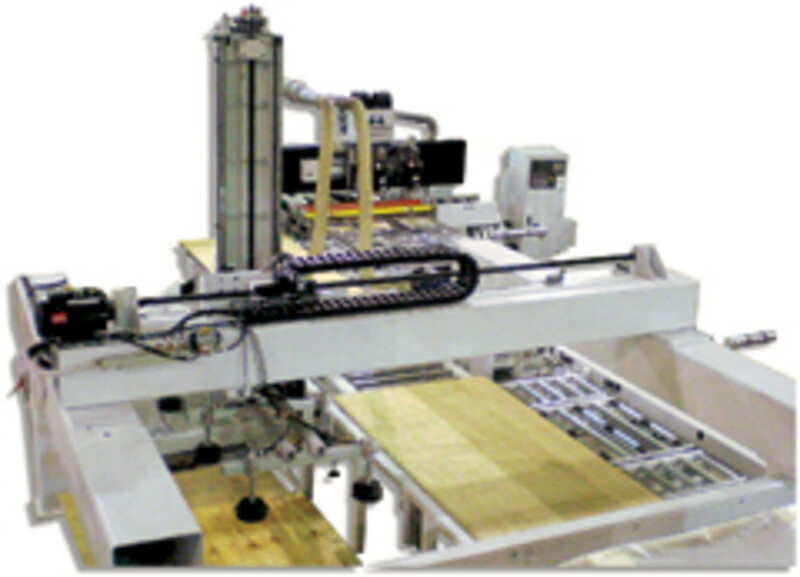 The system is capable of producing up to 400 nested panels in an eight-hour shift with one operator, when stack-cutting two panels at a time. It has a changeover cycle time of 20 to 22 seconds, which quickly moves the new material into the cutting envelope. "This new unit reduces the machine&apos;s dependency on the operator, which maximizes the machine&apos;s theoretical output for any given shift. The machine is constantly giving itself materials faster than the operator could," says Herzog. 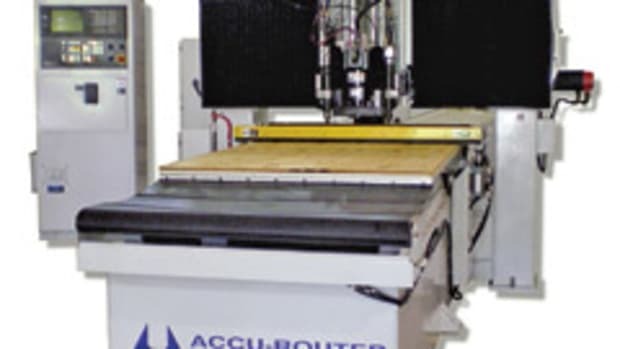 Accu-Router&apos;s high-velocity CNC can be modified for custom orders. 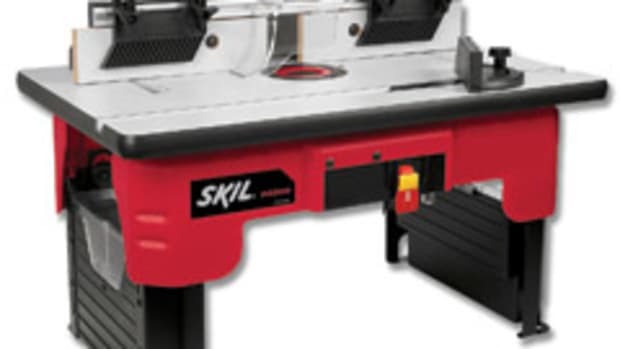 The base model has a 60" x 144" table and two 15-hp spindles, each with an automatic tool changer, eight-tool capacity and a bevy of programmable features. 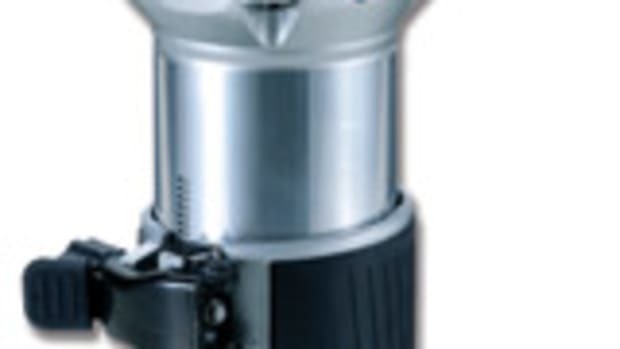 It also has a five-spindle vertical drill head with individually programmable spindles. Herzog says that the new conveyor system, when combined with the high-velocity CNC, can automatically handle six panel sizes. 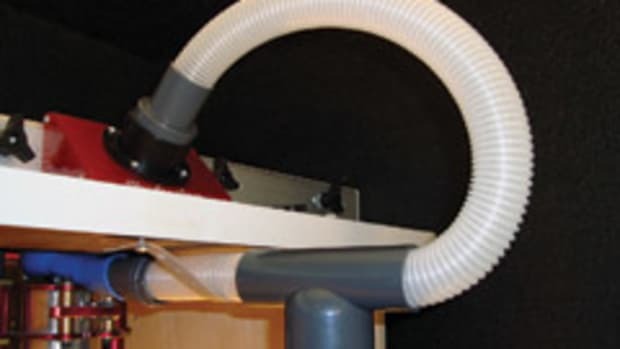 "There are six sets of automatic stops built into the machine table with the electronics and positioning within the ACS to accommodate the same. The specific panel size can be identified at the ACS electrical panel and can be programmed or called up on the machine&apos;s display panel." The new conveyor system also features a high-speed pick-and-place unit, which is fast enough to serve two CNCs and two conveyor systems. 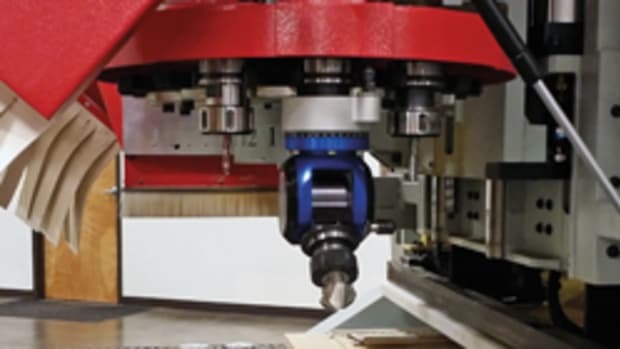 The Accu-Router high-velocity CNC with conveyor system starts at $275,000. The conveyor system, by itself, costs about $100,000.